Intrestate Pneumatic 1/4" Rubber Boot for Light Blue Polyurethane Hose Only. 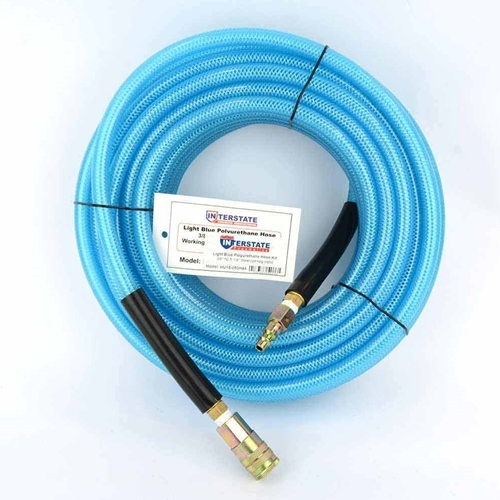 Air Pro braided polyurethane air hose is lightweight, flexible and abrasion resistant. Field tested by roofers and builders for abrasion resistance, flexibility and performance. 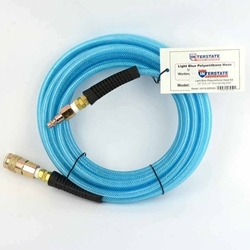 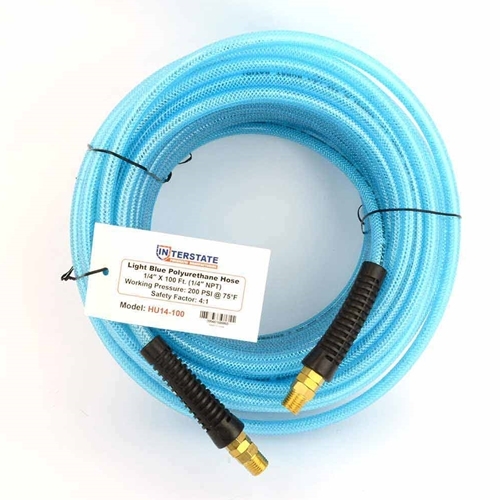 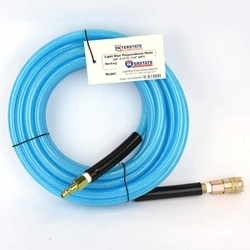 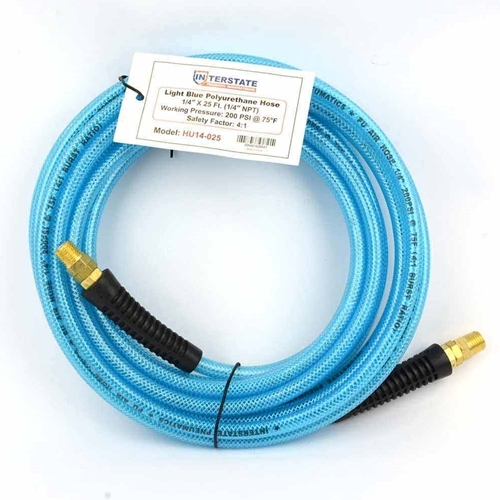 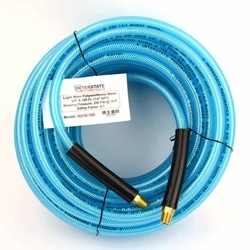 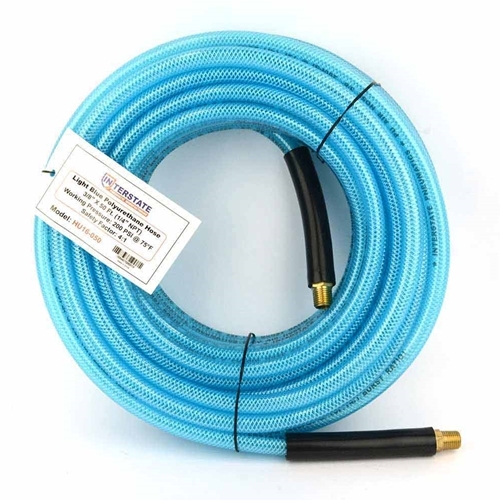 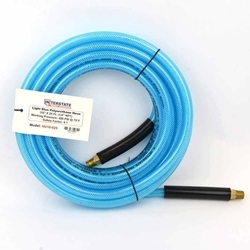 Retains flexibility in cold environments; -40 degree F to +165 degree, 200 psi working pressure at 70 degree F. This means that this hose will not break down and its integrity is not compromised over time, assuring a long life of trouble free use. 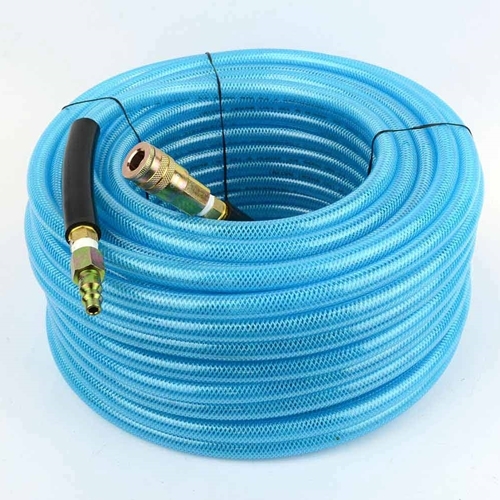 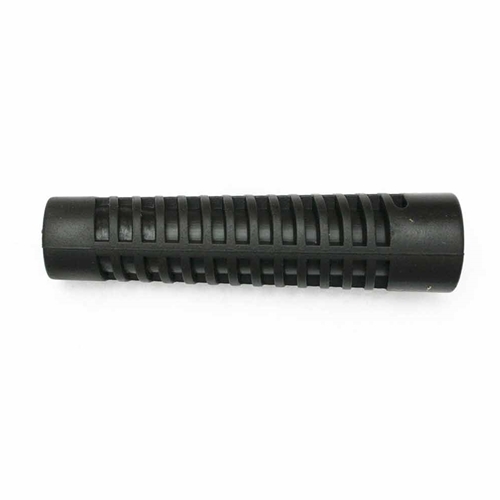 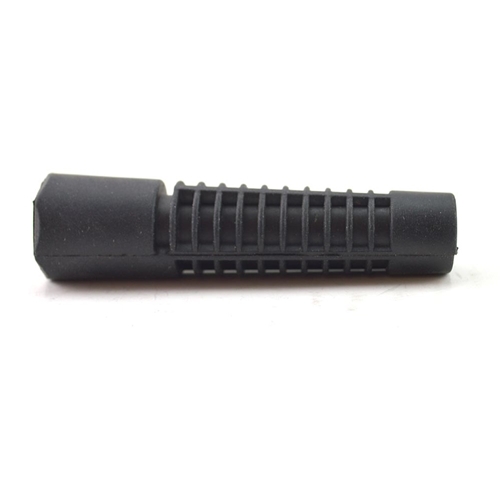 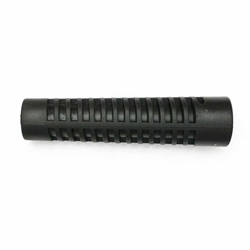 Constructed so that the inner tube, braiding and outer cover will not separate even with excessive bending, flexing and pulsating - will outlast any hose on the market. 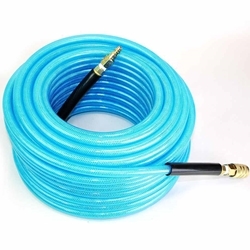 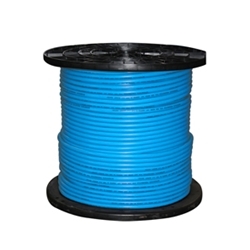 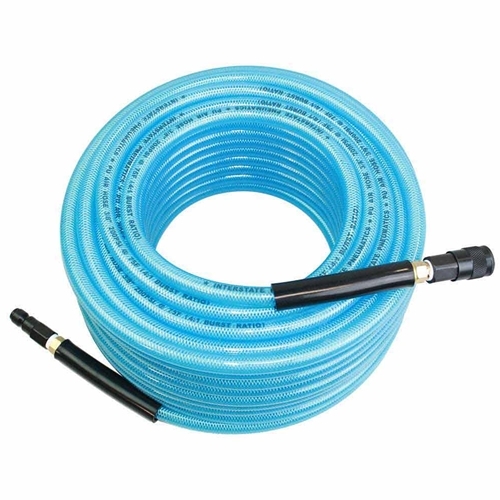 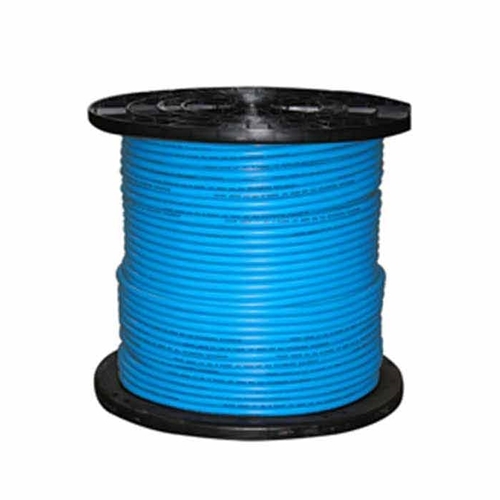 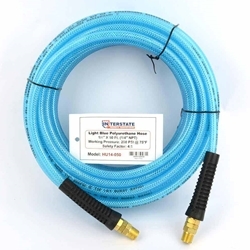 Interstate Pneumatics HU14-600 1/4 Inch 600 ft Reel Light Blue Polyurethane Hose - IP Brand. 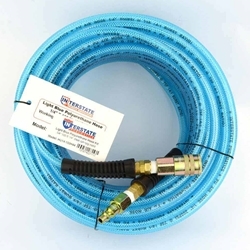 Air Pro braided polyurethane air hose is lightweight, flexible and abrasion resistant. Field tested by roofers and builders for abrasion resistance, flexibility and performance. Retains flexibility in cold environments; -40 degree F to +165 degree, 200 psi working pressure at 70 degree F. This means that this hose will not break down and its integrity is not compromised over time, assuring a long life of trouble free use. 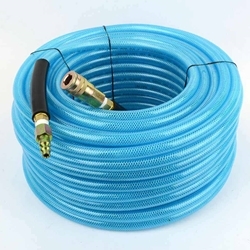 Constructed so that the inner tube, braiding and outer cover will not separate even with excessive bending, flexing and pulsating - will outlast any hose on the market.